NASA is making much of its software inventions free for public use. In an effort to spur innovation inside and outside the space industry, NASA is releasing more than 1,000 of its computer codes to the public Thursday (April 10) through a new open-access software catalog. As far as inventions go, the space agency is perhaps most famous for its hardware — its rockets, spaceships and telescopes — but many sophisticated software systems were born at NASA, too, from the primitive codes that guided the first astronauts to the moon to the codes that Earth-bound drivers of the Mars Curiosity rover write to get the robot to travel across the Red Planet. "Software is an increasingly important element of the agency's intellectual asset portfolio, making up about a third of our reported inventions every year," Jim Adams, NASA's deputy chief technologist, said in a statement. "We are excited to be able to make that software widely available to the public with the release of our software catalog." Many of the codes made available through the so-called Tech Transfer program will be free to use for U.S. citizens, though some systems will only be available to other federal agencies because of access restrictions, NASA officials said. "NASA is committed to the principles of open government," Adams added in a statement. "By making NASA resources more accessible and usable by the public, we are encouraging innovation and entrepreneurship. Our technology transfer program is an important part of bringing the benefit of space exploration back to Earth for the benefit of all people." The code catalog covers project management systems, design tools, data handling, image processing, life support functions, aeronautics, structural analysis and robotic and autonomous systems, NASA officials said. 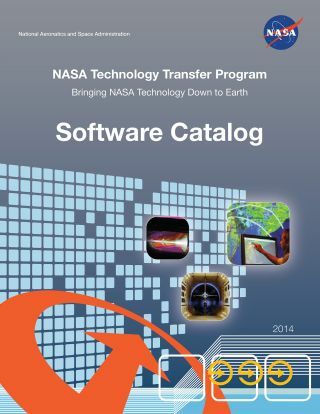 To peruse the catalog and find more information, visit NASA's Tech Transfer program website.